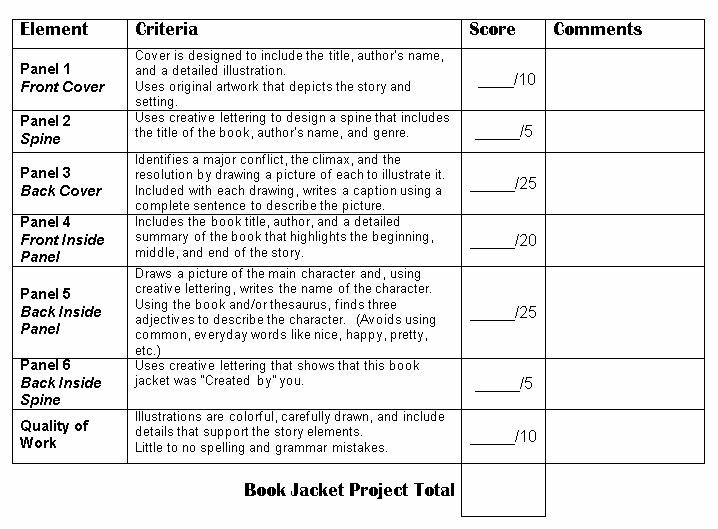 Instructions: Create a “book jacket” that reflects on the book you have read, highlighting the story elements such as its setting, characters, conflicts, climax, and resolution. There will be six panels. Each panel should be colorful, carefully drawn, and include details. Be sure to include all the elements as described. Folding Instructions for you paper: Fold your 11x17 paper from left to right, leaving a one inch margin along the right side (measured by using you index finger from knuckle to finger tip). Crease. Open. Now repeat the process in reverse, going right to left. 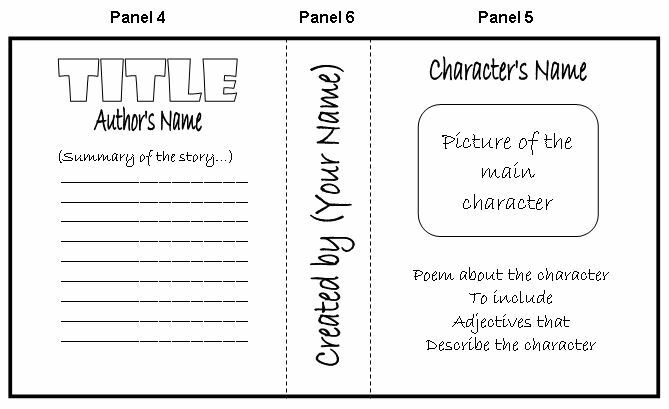 Panel 1—Front Cover: Design a cover that includes the title, author’s name, and a detailed illustration. Please use original artwork that depicts the story and setting! Panel 2—Spine: Use creative lettering to design a spine that includes the title of the book, author’s name, and genre (mystery, fantasy, non-fiction, history). 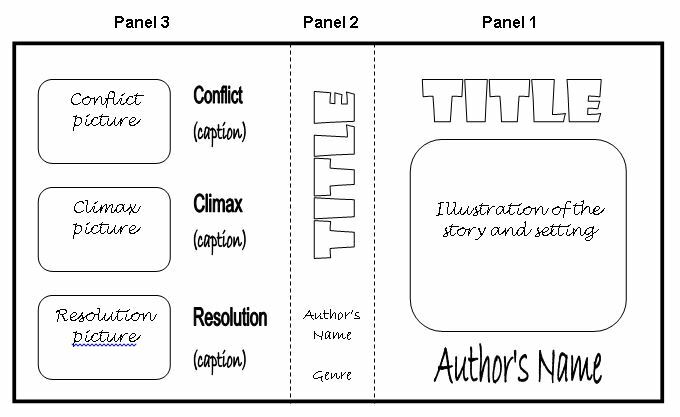 Panel 3—Back Cover: Identify a major conflict, the climax, and the resolution by drawing a picture of each to illustrate it. Beside each drawing, write a caption using complete sentences to describe the picture. Panel 4—Front Inside Panel: Include the book title, author, and a detailed summary of the book that highlights the beginning, middle, and end of the story. Panel 6—Inside Spine: Use creative lettering that shows that this book jacket was “Created by” you.